Here is another great ways to use the delicious Tequila Lime Chicken recipe. I am a huge quesadilla fan. It might be because I am in love with cheese. I could eat cheese all day every day. Since I am an adult, I have realized that it is better if you add nutritious items to your meal of cheese. 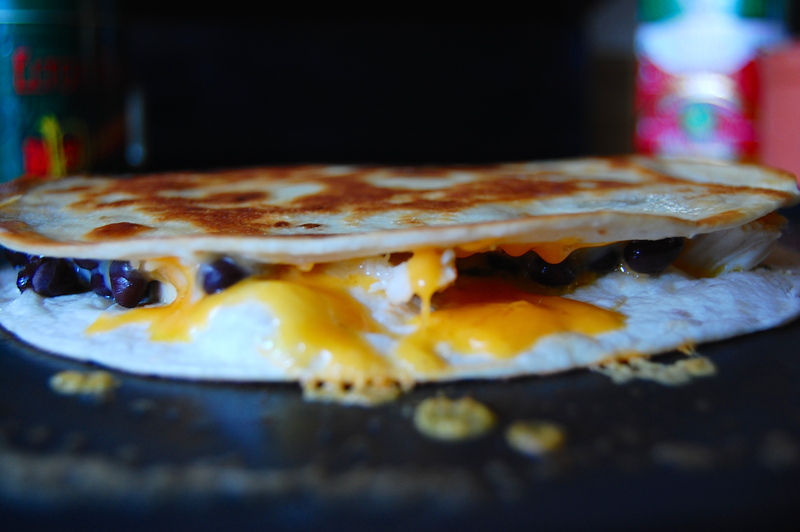 So whoever invented the quesadilla, you are my hero. Because of you, I have another excuse to eat cheese or items melted in cheese. Mmmm. First, heat you pan on medium heat for 5 minutes. Put enough butter on the pan to coat the surface. Lay down a tortilla and sprinkle cheese onto it. Lots of cheese if you are a fellow cheese addict. 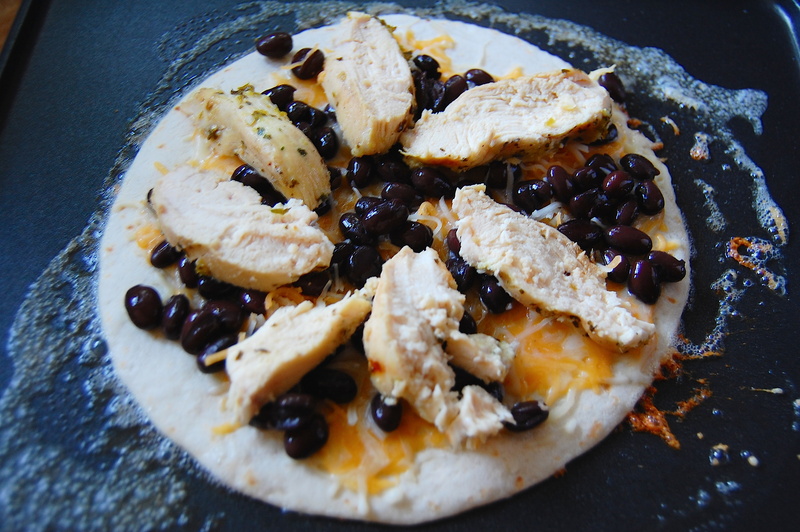 Next, place the chopped chicken and beans onto the tortilla. Let it all melt together. Top it with more cheese and allow that cheese to melt. When it does top it with another tortilla and carefully flip it over to brown the other side. When cheese starts oozing out onto the pan it is finished! Make sure to check the tortillas while the quesadilla is cooking. If the tortilla is getting too dark too fast, turn the heat down! They key is having the cheese melt and blend with the flavors of the Tequila Lime Chicken. 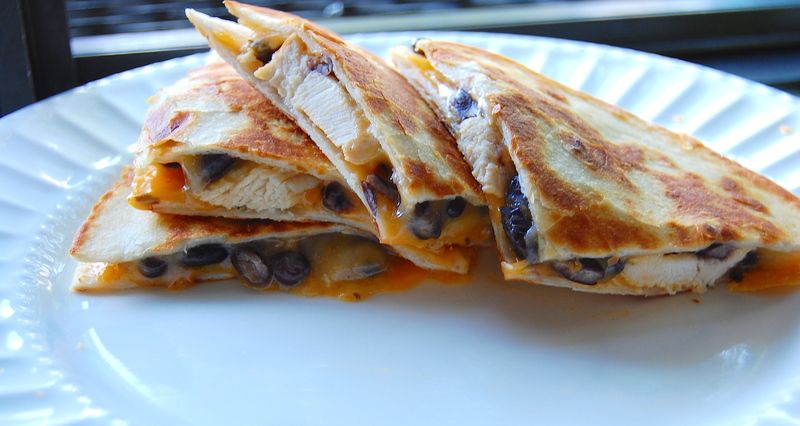 Tags: cheese, chicken quesadilla, cooking, dinner, lunch, quick meal. Bookmark the permalink.